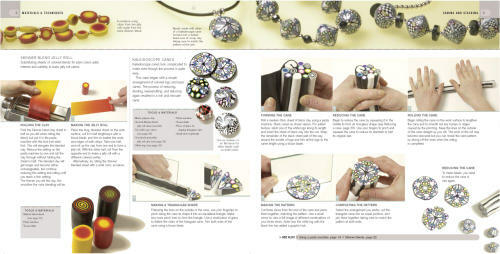 A comprehensive introduction to the materials, tools, equipment, and techniques used to make unique beads with a variety of shapes, colors, and finishes. 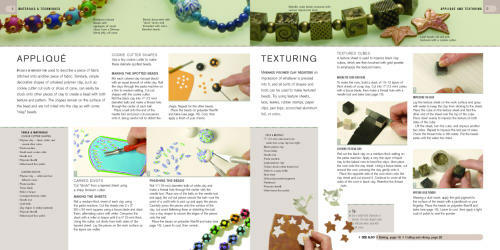 The straightforward instructions discuss topics that include conditioning raw clay and making simple shapes; producing more complex shapes, such as rounds, canes, and spirals; decorating the beads with foils, powders, and milléfiori; and creating faux effects like ivory, bone, turquoise, marble, and silver. 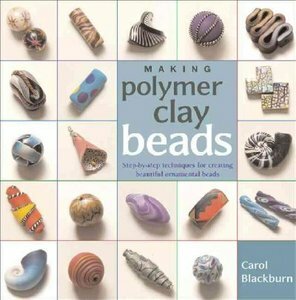 A gallery of beads by internationally renowned artists, hundreds of step-by-step photographs of new beads designed by the author, and a clay gauge that allows one to estimate how much clay is necessary to make a specific quantity of beads are included, making this a comprehensive guide that will provide inspiration, demonstrate the range of effects that can be achieved in polymer clay, and teach beaders how to incorporate these beads into jewelry designs.